Summer is all about enjoying the beautiful weather with your family and friends – picnics in the park, neighborhood block parties, wedding season, casual backyard BBQs and more. 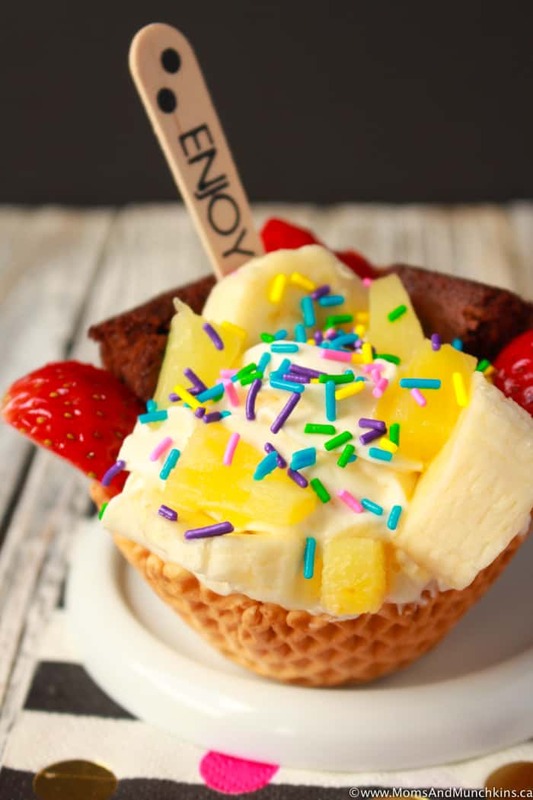 With all the fun things to do in the summer, you don’t want to spend a lot of your time inside baking for your next celebration. 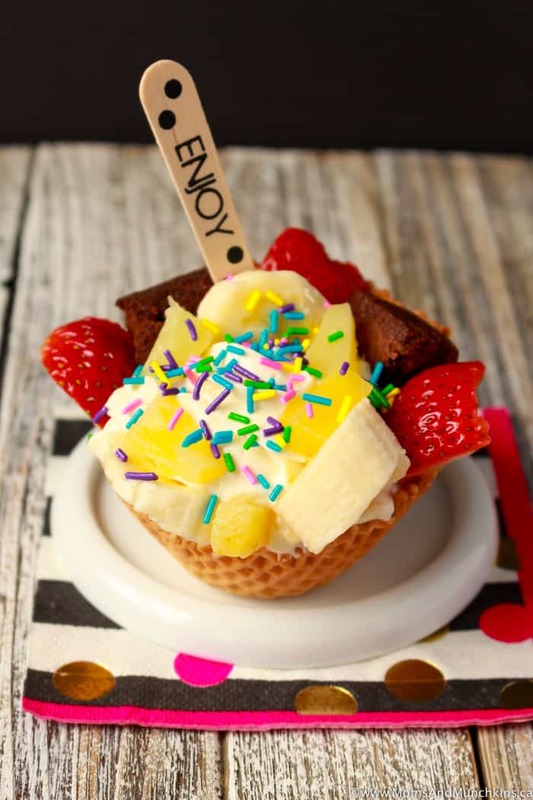 That’s where my next dessert recipe can help – Banana Split No Bake Cheesecakes! 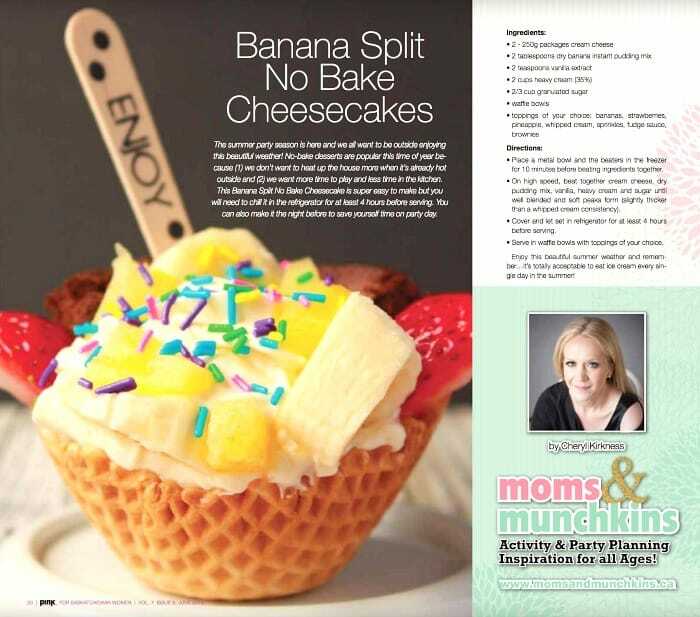 You’ll find my recipe in the latest issue of Pink Magazine – free on newsstands now! 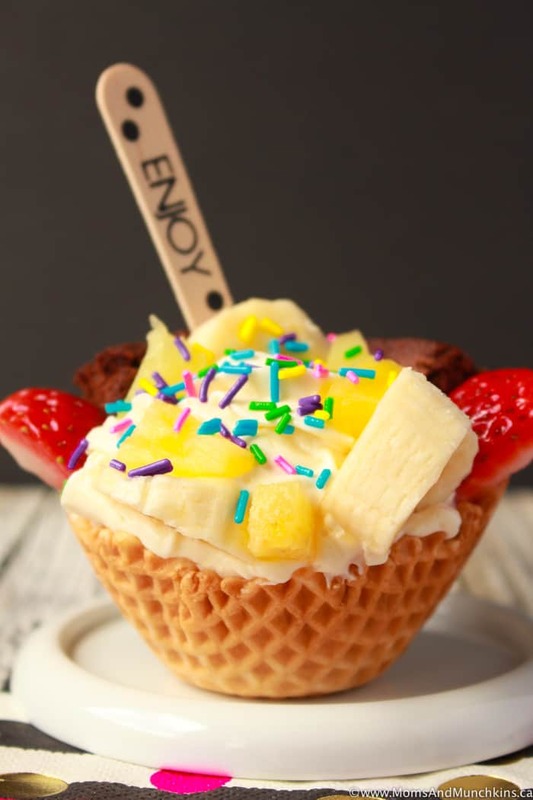 You can load this up with all your favorite banana split toppings like: bananas (of course), strawberries, pineapple, brownies, fudge, marshmallow cream, sprinkles, strawberry ice cream topping, etc. The no bake cheesecake should be refrigerated until just before you’re ready to serve it so this recipe isn’t one you’d want to pack for a picnic in the park. 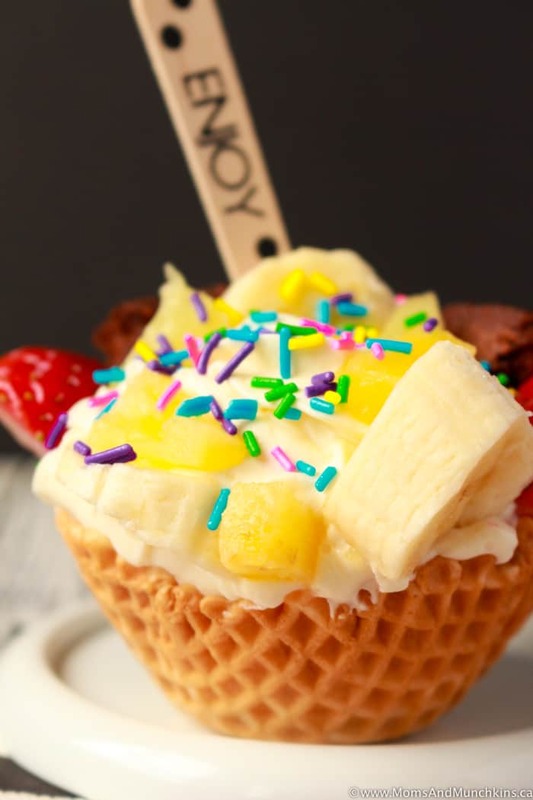 Perfect for a backyard BBQ party though where guests can load on their favorite toppings and you can put the leftovers back into the fridge quickly. Remember to grab your free copy of Pink Magazine for the full recipe. 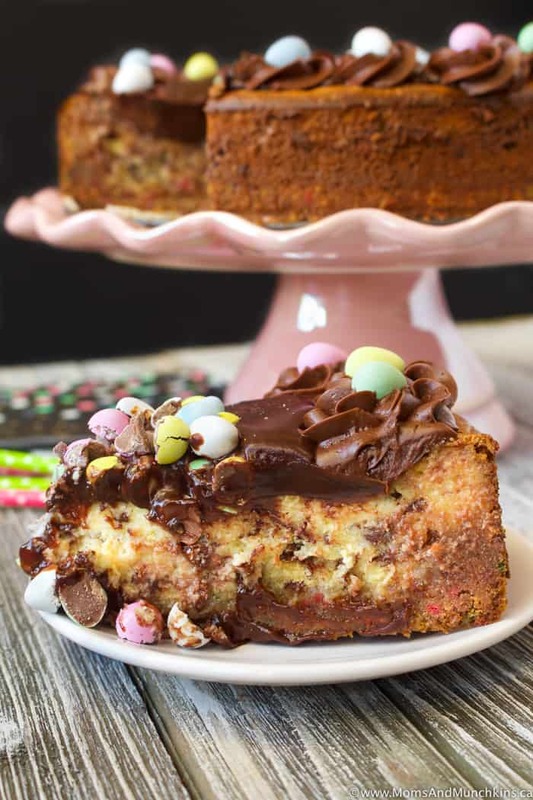 Mini Eggs Cheesecake – not just for Easter! 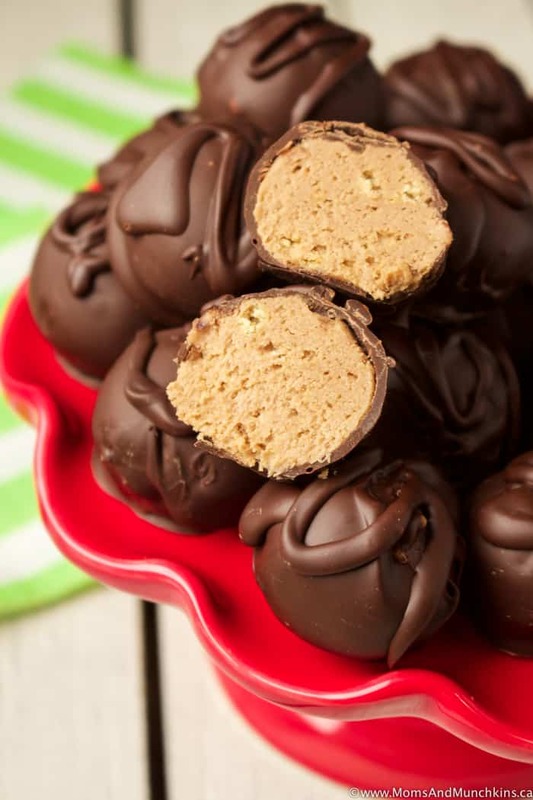 Strawberry Cheesecake Truffles – perfect for a party display table or for a baking exchange. 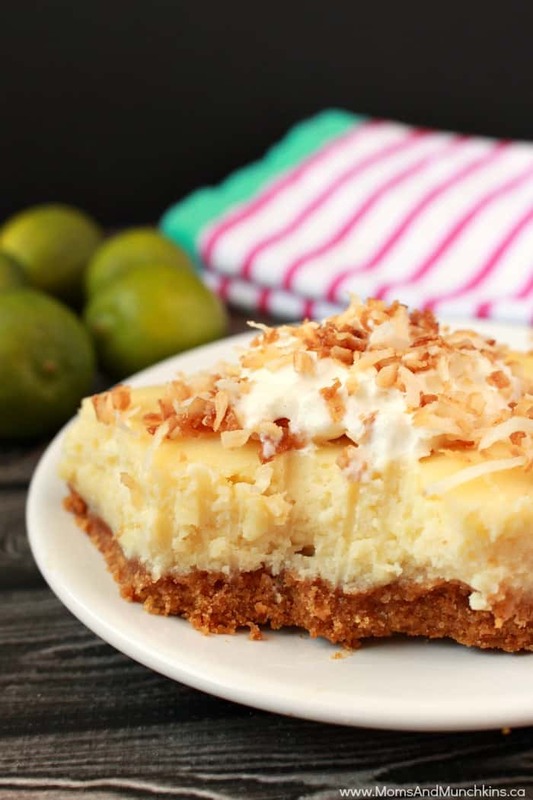 Key Lime White Chocolate Cheesecake Bars – I’m not a fan of white chocolate but I sure do like this! 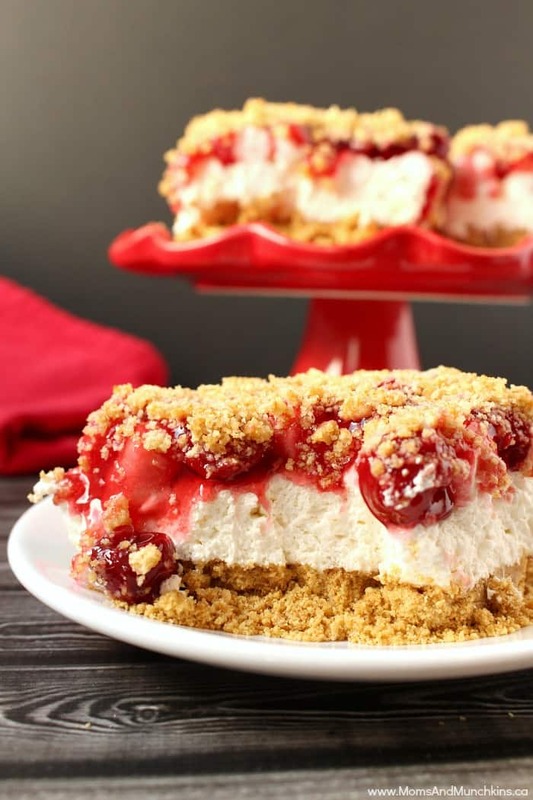 No Bake Cherry Cheesecake Bars – this is an old family recipe from a friend. Funny title though since it doesn’t actually include any cheese! There’s plenty more where that came from – find more delicious ideas on our Recipes page. We’re always adding new ideas for recipes and family fun. Stay updated on the latest by following us on Instagram, Pinterest, Facebook and Twitter.